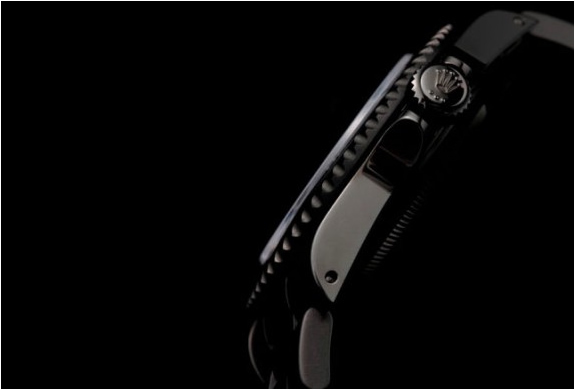 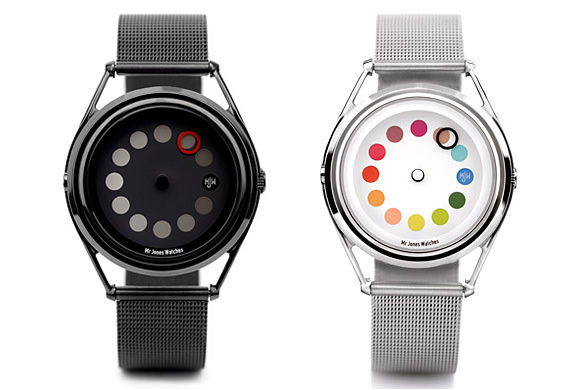 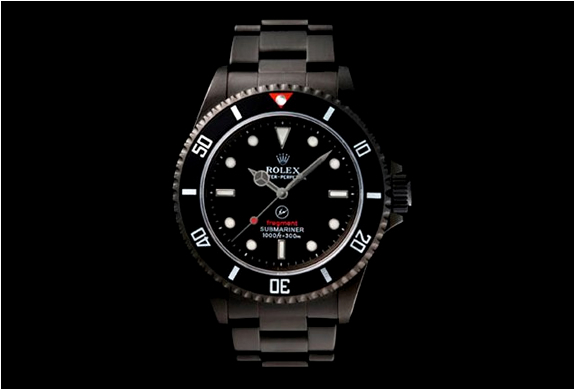 Hiroshi Fujiwara teamed up with Bamford & Sons for Sophnet´s 10th Anniversary Rolex Submariner. 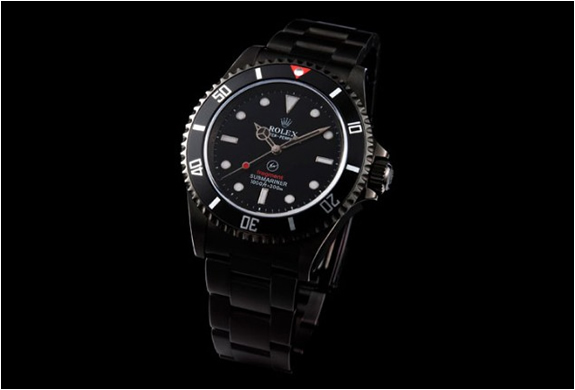 SOPH.10 to commemorate the anniversary, fragment design was produced, along with possible sites online Rolex custom "Bamufodouotchidepatomento (Bamford Watch Department)" in Custom submariner. 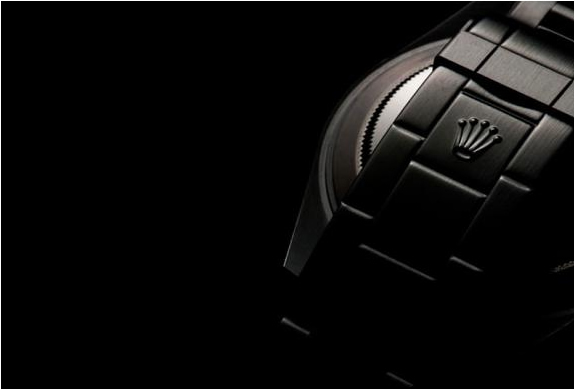 The advanced processing technology called PVD process, the body was finished in Black Metallic with excellent abrasion resistance, the panel board Sandarogo letter fragment, the crown is engraved with the emblem SOPH.10 anniversary show.